This year, I had no intention of posting this Miami-Broward Carnival fete list. 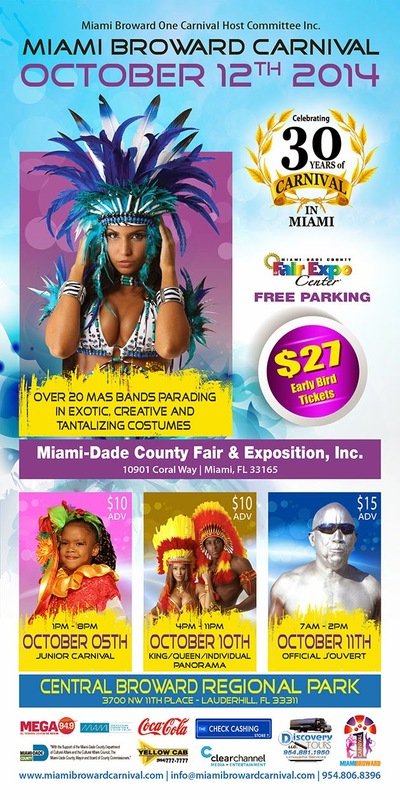 Yet, because one Sweet 7 fan, Whitey, messaged me earlier today asking whether I'd be posting what he referred to as 'the most comprehensive Miami Carnival fete list' he has come across in the past, it hit a nerve. Much love Whitey, this one is for you and everyone heading to Miami-Broward Carnival 2014! And as always, I will update as flyers pop-up. *Please note ... 54 fete flyers have been posted in this slideshow below. Also will mention, this list is not in any specific or chronological order.